[ORIGINAL STORY] The PC port of the classic Bandai Namco role playing game Tales Of Symphonia is now available for purchase on Steam and several fans of the series are now enjoying the game. Or rather, not enjoying it, as the PC port comes with some issues that make it far from being the best version of the game. 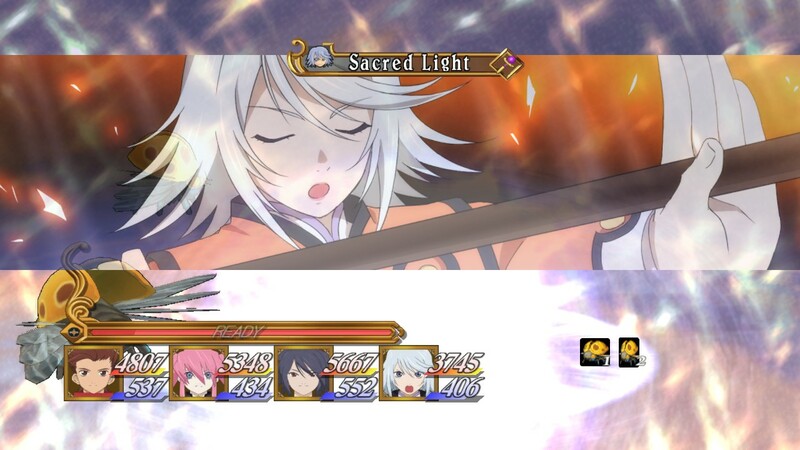 According to online reports, Tales Of Symphonia PC is locked at 720p resolution. Trying to increase the resolution just scales the image, resulting in very bad quality. Making matters worse are the frame rate lock, which makes the game run at 30 frames per second and typos that were not found in the PlayStation 3 release As the PC port of Tales of Symphonia is based on the PlayStation 3 HD version which is, in turn, based on the PlayStation 2 version, all this was somewhat expected but it’s disappointing to know that very little effort has been put in this port. Tales Of Symphonia PC comes with some additional content that was not available in the original Nintendo Game Cube release such as new bosses, new costumes for all characters, new Artes and Mustic Artes for all characters, new skits and more. In a dying world, legend has it that a Chosen One will one day rise from amongst the people and the land will be reborn. The line between good and evil blurs in this epic adventure where the fate of two interlocked worlds hangs in the balance. AN EPIC ADVENTURE – Over 80 hours of gameplay in this epic, emotionally charged storyline. REAL-TIME 3D BATTLE SYSTEM – Experience the fierce, action-packed battle system. Combine hundreds of special attacks and magic spells. FIRST TIME ON STEAM – Based on the PlayStation®3 port of the original GameCube game, this RPG classic is finally available for PC. Tales of Symphonia is now available for purchase on Steam. The HD version of the game is also available on PlayStation 3 in all regions. Wccftech Reader Rig Contest [Fall 2018] – Fire Up Those Battlestations!